Be the first to hear about their new releases and deals. Download the Booksprout app and search for Crystal-Rain Love today! Crystal-Rain Love is a romance author specializing in paranormal, suspense, and contemporary subgenres. Her author career began by winning a contest to be one of Sapphire Blue Publishing's debut authors in 2008. 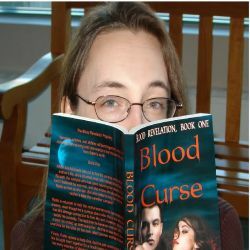 She snagged an 8-book contract with Imajinn Books that same year, going on to be published by The Wild Rose Press and eventually venturing out into indie publishing. She resides in the South with her three children and enough pets to host a petting zoo. When she's not writing she can usually be found creating unique 3D cakes,hiking, reading, or spending way too much time on FaceBook.